Officially, these are not four cyberpunk RPGs on Kickstarter… I mean, three of them are, but the fourth is a looser connection to that genre. That said, here’s four cyberpunk RPGs using everything from Fate to original systems to share their tales of future rebellion. Ends on Sun, July 8 2018 11:38 PM EDT . “A detailed sourcebook for artificial life in Warsong: Second Edition! The idea that fate was malleable was the founding concept of Warsong 2nd Edition. The idea that our actions really do matter. 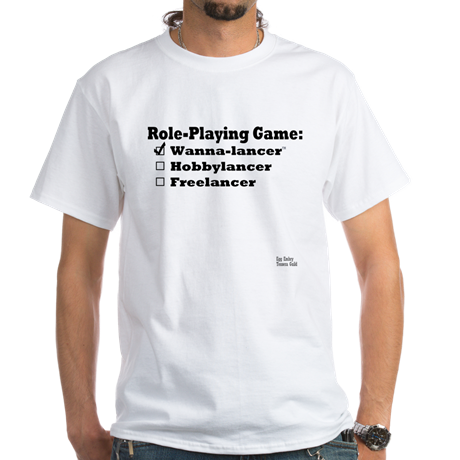 It was a concept that I felt was neglected in other role-playing games. Fate was something I wanted to explore thoroughly in Warsong. And as the setting grew into its own unique life form, another creature began to emerge. They are the products of man-made ingenuity and madness. Years of knowledge and sorcery culminating into a tool to be used. What happens, then, when that tool becomes aware of its purpose? What happens when the tools we use to make our lives easier become aware that they are slaves to their creators? Warsong 2nd Edition explores the infamous Machine War that followed in the wake of The Source, an interconnected web of technology throughout Lemuria, becoming self-aware. Warsong: The Host explores Lemuria from the artificial eyes of living machines. • Rules for creating and playing artificial life such as Awakened machines, living programs and advanced Synths. • New rules, powers and abilities for the machines and cybernetic implants in humans. • New setting information and revelations regarding the Emperor and the Treaty of Parnassus. • Setting information for the City of Kojo – a machine settlement governed by The Source. • New information regarding The Host, a group of living machines born directly from The Source when it tried to calculate morality. The Host are a very small portion of the machine population, but are arguably the most widely known, and rightly feared among their species. They are the seraphim and devils of Lemuria. They can be winged saviors of humanity, or horned corruptors who seek only the desolation and destruction of everything around them. They are, in a sense, every facet in the spectrum of human morality given life and form. The Host represents a turning point in the setting of Warsong Second Edition and this book will help bring to life an entirely new species of creature within the setting. It will give players a new and valuable outlook of the world from the view of the machines and even give players new revelations directly from The Source itself. The book will include more detailed information on the Treaty Of Parnassus and what exactly happened when the Emperor and The Source forged peace at the end of a seven year long Machine War. It will also give Game Masters valuable tools to use if they wish to include The Emperor’s whereabouts in their own games. I completed a review of Warsong 2e that will be published soon. This RPG is an ambitious Fate-based game built around a unique idea/setting – Sengoku Punk. Sengoku Punk combines the ideals (and technology and wardrobe) of cyberpunk with an ancient Asian world. The setting is very stylistic and worth checking out – try out the quickstart rules here if you need some encouragement – and, once you are a convert, you’ll want to add this expansion to increase the world’s depth. Ends on Tue, July 10 2018 6:27 AM EDT . “Blackwind brings the plot back in the spotlight with modern rules, dynamic mechanics and unmatched creative freedom. The Blackwind Core Manual is the foundation of our project: it is a new core system that improves on many aspects of tabletop roleplay, designed to make the game easier to understand, fun to play, and full of exciting adventures. The Blackwind system works with any setting, from classic tabletop to the worlds of games, movies and novels, and allows you to play any concept that fits the tone of the story. The two main features are plot-making tools and dynamic mechanics. Game Masters (called Directors) assemble the story like a jigsaw, allowing to create complex plots with ease and to keep the story flexible. The strength of characters may vary, sometimes dramatically, depending on their contribution to immersion, general amusement, narrative, beating in-built challenges and interaction with key plot points, keeping their statistics fluid. Regardless, even the weakest characters will be able to attempt incredible feats, and will be rewarded in case of success. On the other hand not even the strongest characters will be completely immune to failure. Likewise, no character death will be misplaced or pointless as plot armour will apply early in the game, but not even the main protagonists will be completely safe during showdowns. We balanced out the roles of Directors and Players: the latter will have a greater impact in casting the foundations of the story, as well as shaping it. Players will decide what kind of adventure will be played, the adventure genre, context, theme, plot type, story structure, story ticket, casting list, may introduce their own subplots and NPCs and generally have more narrative wriggle room. Difficulty checks take into account a few additional things: who is attempting what? What kind of story are you playing? What is the context? Hurling a person-sized boulder across a room will be impossible in a realistic thriller, and ordinary routine in a superhero adventure. For more information visit https://blackwindrpg.wordpress.com/. You may find out more about the game, articles and additional information: keep checking for updates, articles and previews! Additionally, you may find the link to download our FREE starter adventure on the main page of our website. Arena is good example of the simplest, most straightforward way to play Blackwind. The game is ready, the rules are tested, and the largest modules are under development. Then, what do we need your help with? Simple: we want to offer the best modules, expansion rulebooks and quality add-ons we can, as often as possible. Your support would allow us to upgrade our equipment, publish content faster, and to polish the final product to a mirror sheen. While this is not just cyberpunk, Blackwind Project is a core rulebook that will include modules that cover Pirates, Noir, Steampunk, Fantasy, Post Atomic, Thriller, Western, and Cyberpunk. This system is meant to be incredibly versatile allowing for a variety of settings and options. With art that is stylistically similar enough to give the entire package a uniform feel that allows you to envision a campaign in one setting that jumps to another genre. If you’re looking for more details, check out Dan Davenport’s Q&A with the creators here. If you’re ready for more cyberpunk (and most genre) options, go on and back it! Ends on Wed, July 11 2018 11:08 PM EDT . “The Starchildren came looking for the home of rock music, only to find it outlawed. Fight back in the RPG of rock & roll revolution! A century ago, radio transmissions from Earth passed through a strange ripple in space, causing rock music to fall upon the mystified ears of an alien world. For five glorious years, the aliens grew to love the magical planet they believed to be on the other end of that beautiful signal. When the music cut off as mysteriously as it began, the aliens embarked on a generational pilgrimage to discover the source of that music. Nearly a century later, the aliens have arrived, but Earth is not what they expected. Humanity has taken a dark turn, silencing music, the arts, literature…any kind of expression they believed could inspire “dangerous” thoughts. The Ministry of Music looms large over the entire world, stamping out rebellious culture with steel-sheathed jackboots. With nowhere to go but forward, the Starchildren descended, joining the few Earthlings still carrying a spark of rock and roll. They catalyzed a new rock & roll revolution that will break the Ministry’s chains on the soul of humanity. This is the Velvet Generation. Velvet Generation is the new iteration of 2002’s Starchildren: Velvet Generation, a role-playing game unlike any other. The original 2002 creative team is back with a fresh look at the music-starved dystopia in which the Starchildren find themselves stranded. The new custom rules engine is tightly focused on group collaboration, intra-band relationships and musical performances that will take your band from the garage to global superstardom. The campaign rules let your band use their fame against the oppressive Ministry of Music, while those same authoritarian forces hunt them down for the crime of expression. The Starchildren came on the scene in the form of dreamlike rock idols: luminescent, androgynous and mysterious beings that seem to float in an electric haze of glamour. They do their best to blend in with the drab creatures Earthlings have become since they lost the gift of music. Their very presence on the planet sent a shockwave through the collective subconscious, awakening something long since buried, and neither species will ever be the the same again. Players portray the renegade rockers of the Velvet Generation, whether they be the alien Starchildren or the Earthlings pining for their lost rock & roll. Start your campaign out as unknown outlaw rockers, seeking out space to rehearse and play while evading the watchful electric eye of the Ministry of Music and spinning lies to get time off from your day job. Join the revolution by allying with the idealistic visionaries of Velvet or the violent hardliners of the Blue Army. Ascend to the leadership of regional and national cells as your band becomes a household name, finally toppling the Ministry of Music with the power of rock & roll. This iteration uses a completely new rules engine from the 2002 original. The rules allow your group to riff off of one another onstage and off, and the revolutionary campaign system lets you build from game session to game session to fight back against the Ministry of Music to carry out a global rock and roll revolution. In Velvet Generation, whenever your band is together, they’re collaborating on their goals, whether that’s to play a solid show, to sneak past a security guard or fighting off a gang of anti-rock yahoos. Each player rolls a pool of six-sided dice for themselves, trying to find matched sets (two, three or more dice with the same number showing). But every time you go, you either get to leave one of your dice on the table for your comrades, or you get to pick up dice that match the ones you’re playing to do even better. If that’s not enough, the social relations between band members help more. Give a die to your lover or your friend; steal a die from your rival…develop these relationships within your group to work together even better. The real action in Velvet Generation happens in front of crowds of underground fans, getting their rock fix wherever they can hide away from the Ministry’s prying eyes. Your band taking the stage is the focus here as much as fighting or kicking down doors is in a lot of other games. Use the full range of your talents to create the show: vocals and instruments of course, but also dance, stage presence and the roadie’s skills at setting up and running the tech. Everyone in the group has a part to play in the show; while the crowd may go home remembering the lead singer’s wail or a shredding guitar solo, your rhythm section makes that possible by giving the leads something to build off of, and the techs are there to cover the occasional screw-up. Every show gives you a shot at hitting the next level of fame, until you really take off. It’s a dangerous game, though. There’s always the temptation to grab a little more of that glory for yourself by upstaging your bandmates. While you’re all working together onstage, someone is always the Star of the Show, even if different characters spend their own time in the spotlight. Rep-hungry rockers might build themselves up at the expense of the group itself. That can breed jealousy among the group, and that’s a force that can tear apart the greatest of bands. The Ministry of Music has plenty of ways to keep you down. They alienate you from the safe and sterile society of everyday life. They push propaganda against rockers and marginalized people. They use the full surveillance state to keep a close watch on dissidents. They try to subvert your allies and contacts. And there is always the threat of violence at the hands of the regime. But as your band grows in fame and recognition, you can strike back against the Ministry of Music with the new revolutionary campaign system. Music is dead and aliens have come to Earth to save it! If that pitch doesn’t get you, then read the campaign or check out the PWYW first edition or the free ashcan for this game. Sometimes the reason I check out an RPG on Kickstarter is a creator recommendation. At AndoCon, I played Pugmire with DriveThruRPG’s Chris Tang and his character work was master class level. Chris rarely pushes a specific RPG online (his job with DTRPG likely requires he be more impartial), so when he gave something of a testimonial for Velvet Underground, I stood up and took notice. I’m glad I did. Add the art to the game’s idea – it’s like a wave of music artwork that never was, stylized, fun, and musical – it speaks to the possibilities of this world. Ends on Thu, July 12 2018 10:02 PM EDT . “A Role-Playing game in a Cyberpunk setting where corporations have created Superhumans and see them as company property. The trains don’t run through this part of town anymore. Not since someone stood on the tracks and tried to rob one. Thirteen years ago, he would’ve just ended up in the obituaries, but instead he melted the engine with an energy blast from his hand and thirty seven people were injured. Downtown, they have “Peacekeepers” to prevent that. Dressed in their corporate power armor, they stand on every street corner, looming over the pedestrians. Waiting for an excuse. Here, things work a little differently. People pay their protection money to crooked supers. Folks grumble about it, but when a man who can shoot lighting from his fingers floats down from the sky and demands you call him king, you call him king. The corporations say they are doing their best to round up the renegade creations they made, but there are a few good Enhanced out there too, caught between the corps and their own kin. This is the world of Dark Times: a tabletop roleplaying game about superheroes in the corporate slum that has swallowed up most of the United States. Twenty six years ago a man named Dr. Anton Valasakis changed everything with the discovery of a gene that unlocked superhuman powers. He started his experiments at pharmaceutical supergiant Prometheus Medical, working first on “willing volunteers”, and soon he was sanctioned by the government. By this time Prometheus Medical was already a powerful corporation and had its hooks deep in controlling many politicians. Many of the first test subjects were prisoner who were on death row. This was a chance for them to gain a chance at life. Many died, and not much is known about this few who survived. The experiments continued and soon a rash of industrial espionage broke out. Many large corporations, seeing the potential in customized superhuman technology, were now in a race to have their own Enhanced on their payroll. These laboratory creations were treated as slaves and many fled their masters, hiding in the slums. Some of the ones that got away even had kids. Now there exists a second generation of Enhanced and still the corporations view them as company property. By now the laws had been warped to protect the rights of the corporations and their “investments” and not the people. In Dark Times, players work together with their powers, protect their people, and build their community, all under the shadow of a corporation that has replaced the government and seeks to enslave them since they are viewed as “company property”. With a little bit of cyberpunk, a little bit of noir, and a whole lot of superpowers, Dark Times mixes old-school and new-school design to create a game that is fast, pulpy, immersive, and fun to play. In addition to the core book for Dark Times, we will also produce the following PDF expansions. These expansions will be available to any backer level that receives them as part of their rewards. Merc Work – This book is made of up fully detailed scenarios, designed to introduce a gaming group to the world of Dark Times. Villains, Allies, and Corporate Files – This book will include a variety of people that could be good, bad, or neutral as well as corporation write ups. These characters will have stats, plot hooks, and other ways to use them in your campaign. Steele City Sourcebook – This book will open up and detail more of Steele City. A valuable resource for many adventures and filled with a lot of information. I covered Wicked Pacts here (and have a review of it coming up in a future issue of Knights of the Dinner Table) so I’m predisposed to like this. Superheroes and cyberpunk sounds like an interesting combination – the ultimate group that cares about society juxtaposed to the group that cares the least for the status quo. It should be an interesting game as you work within and outside of the system. Tagged Blackwind Project, Dark Times, Higher Grounds Publishing, Kickstarter, The Host, The Polyhedral Knights, Velvet Generation, XIG Games.